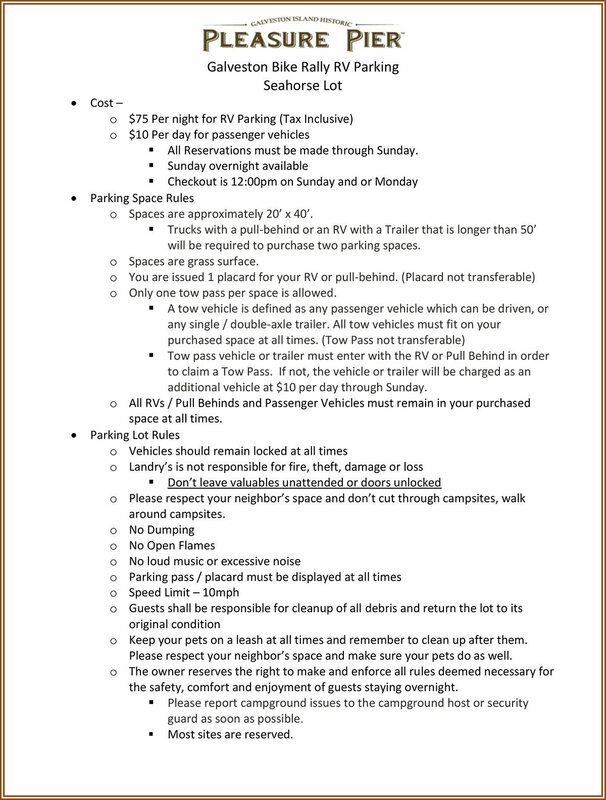 Overnight Parking Prohibited on Seawall. 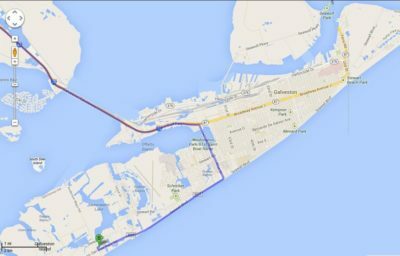 This lot is located at 35th Street and Seawall Blvd. We are now 10/10/10 three years in a row. Trip Advisor 2018 Award of Excellence. “No RV, no problem. We have cabins”. 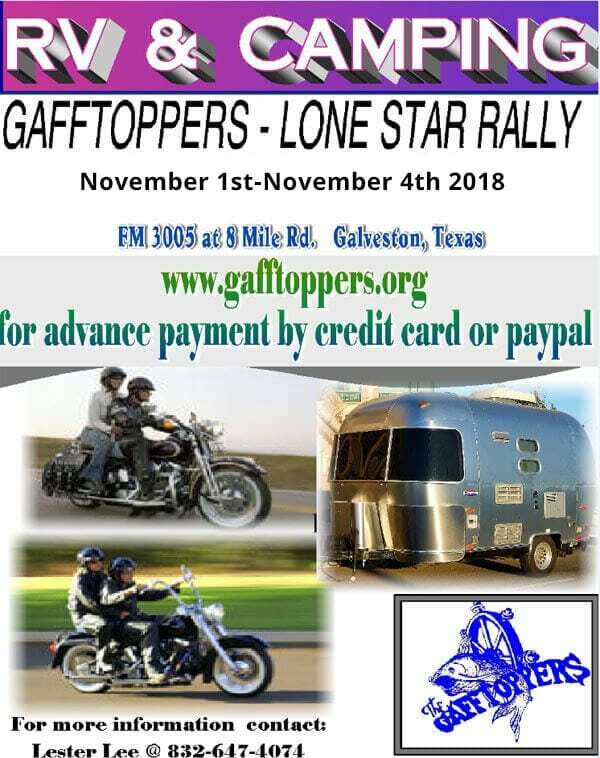 The Galveston Yacht Basin is conveniently located only 1.5 miles from the strand and all of the Lone Star Rally action. The facility offers restrooms and showers along with a small convenience store on property. Bring your fishing pole as the flounder will be running! 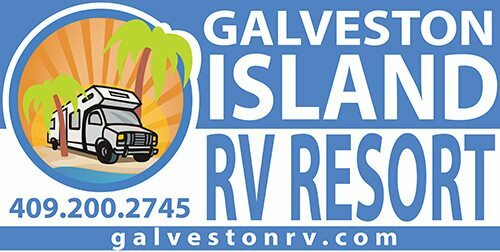 Please e-mail management for reservation at mgmt@galvestonrvresortandmarina.com or go to www.galvestonrvresortandmarina.com to book your reservation. 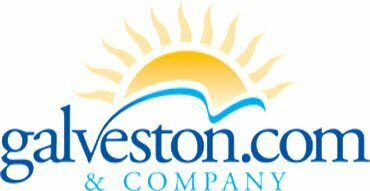 Trip Advisor’s #1 RV park in Galveston. 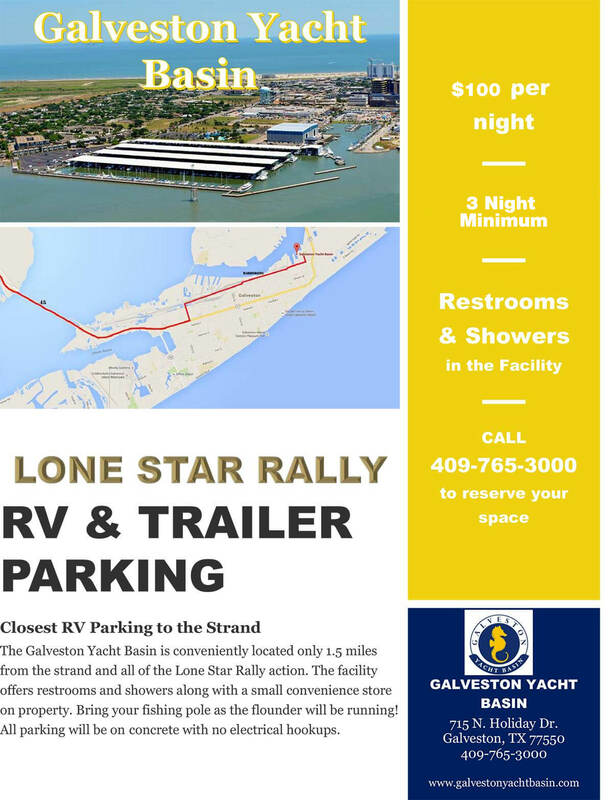 RVers can reserve 70 or 90 foot pull-through concrete pads which come with 50, 30, and 20 amp power; water, and sewer hook-ups; double parking, private green spaces, patios, landscaping, in-ground umbrella holders, and are handicap accessible. Amenities are all-inclusive: premium Wi-Fi, late check-in, elevated pool and hot-tub, splash pad, private lake, fully-furnished guest center (complete with kitchen, tv, and lounge), fully-equipped bathrooms, showers, laundry machines, gated dog parks, and more.